Chad is General Counsel and Chief Compliance Officer at Accenture, a global professional services company. Since Chad joined in 1997, Accenture has experienced massive growth – starting from a consulting firm and pivoting towards a large scale professional services company, covering a wide range of services including digital marketing, robotics and factory modernization, artificial intelligence, immersive realities, blockchain and cybersecurity. Accenture currently has approximately 459,000 employees, serving clients in more than 120 countries, across more than 40 industries. Throughout his career, Chad has focused on enabling the business to grow sustainably and responsibly, with a commitment to Accenture’s people, values and culture of compliance. 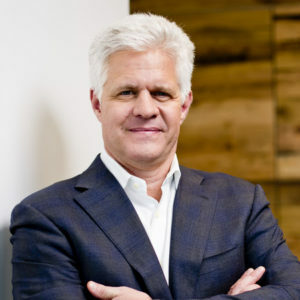 In his leadership roles prior to General Counsel, Chad helped Accenture expand into new areas of growth by leading Accenture through its largest and most complex transactions and was responsible for leading global legal support for Accenture’s client-facing business, including, sales, solution development and client delivery teams. As General Counsel, Chad has ultimate responsibility for all legal support to Accenture, serving as principal counsel to senior leadership and the board of directors and leading the company’s Legal department. As head of the Legal department, he oversees all legal services, the contract management and government relations functions, leading a team of approximately 2,600 legal professionals globally. As Chief Compliance Officer, Chad is responsible for managing legal and regulatory compliance programs that enable Accenture to operate around the globe while adhering to the highest ethical standards. He is also a member of Accenture’s Global Management Committee. In his role as General Counsel and Chief Compliance Officer, Chad oversees a number of programs to reinforce Accenture’s values and culture of compliance in close collaboration across various functions internally. Conduct Counts, for example, is a joint collaboration with Accenture’s Chief HR Officer, based on an understanding that great people are critical to having a strong culture of ethics. The aim is to promote a sustainable standard of global behavior and foster an environment in which Accenture’s people feel safe to speak up when they see concerning behavior. In 2017, Chad led the relaunch of Accenture’s Code of Business Ethics, using a design-led approach to modernize the code by adding new content such as the responsible use of new technologies and create a more human-centered and interactive experience by mobilizing a chatbot to help guide our people to the information and resources they need, when and how they need them. In the first week of Accenture’s Code relaunch, Accenture people interacted with the chatbot more than 11,000 times and visited the digitized content more than 60,000 times. As the company has evolved over time from consulting, outsourcing, digital and emerging technologies, Chad has led efforts to reskill and reposition the Legal workforce, including developing the necessary training and tools to augment the capabilities of the team. Chad is Accenture’s chief sponsor for its Persons with Disabilities initiative and serves on the national Board of Directors for the Challenged Athletes Foundation, a non-profit organization that supports adaptive sports athletes and all people with physical challenges to lead active, healthy lifestyles. Chad is also an adaptive sports athlete and enjoys downhill skiing, backpacking, running, cycling and swimming. He received a BA from St. Olaf College and a JD from the Univ. of Minnesota. He resides outside of Chicago with his wife and two daughters.